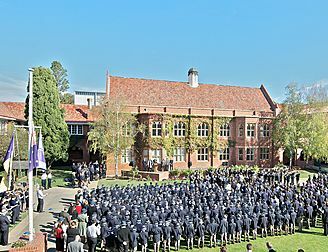 Canberra Grammar School is a co-educational Independent Anglican School offering outstanding academic education, co-curricular opportunities and pastoral care to day and boarding students of all backgrounds and faiths within a community guided by Christian values. 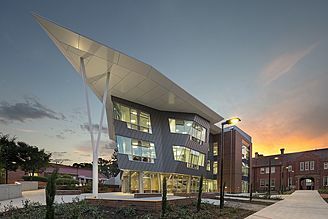 The School educates boys and girls from Pre-School to Year 12. The School respects and nurtures all students as individuals, seeking to inspire, support and celebrate the efforts of all in realising their intellectual, spiritual, cultural, social and physical aspirations. 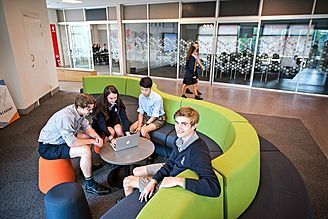 Building on the professional expertise of its staff, the commitment of its community and the resources of the nation’s capital, Canberra Grammar School aims to be the most dynamic and distinctive centre of learning in Australia. Canberra Grammar School students present themselves with an engaging mixture of openness, sincerity and passion. Be it in classrooms, in the boarding houses, in orchestras, on stage, on the sporting field or in Chapel, they are enthusiastic and determined; they care for each other and they aspire to the highest standards in education. It is the School’s goal that not only each student, but each parent too, feels a sense of belonging to the School community, and that our students have the opportunity and support for personal, social, academic and spiritual growth. 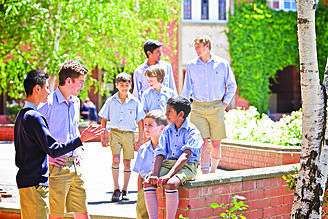 Each individual student is treated with a great amount of care and consideration, and the School believes children need an environment that encourages them to seek out academics and social relationships, to find their passions and purpose in a complex world, and provide a range of curricular and co-curricular options that help prepare young people to face the challenges of a globalising world. The education, the opportunities and the facilities that CGS provides must prepare the students to play an active role in a changing world. It must equip them with the knowledge, skills and attitudes that will help them to embrace the challenges of our time as opportunities to make a difference in whatever fields of endeavour they choose to enter. CGS is a great place for all kinds of students and we realise that everyone is different, so rather than providing you a generic prospectus, we encourage you to create your own and find out how our School suits you.